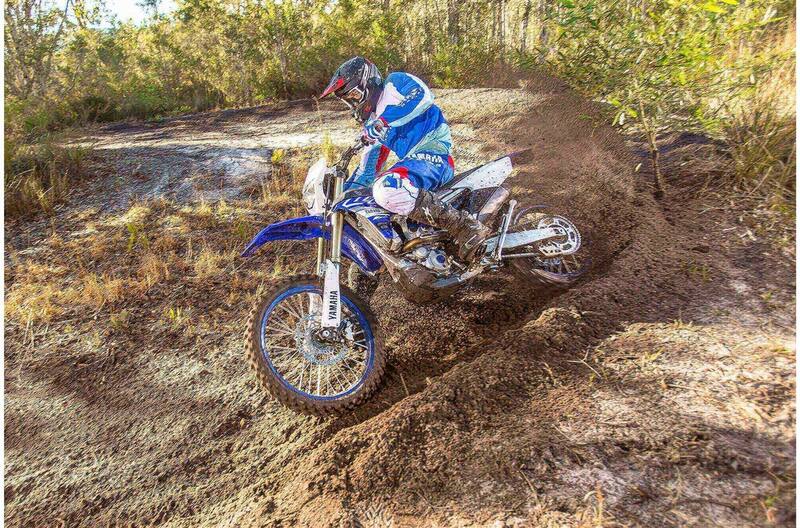 We've taken our revolutionary YZ four-stroke motocross technology and applied it to the enduro world. 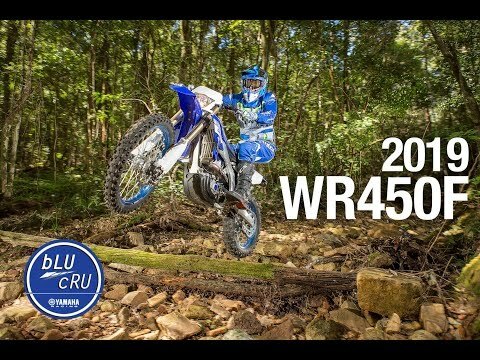 Rearward slanted engine, reversed cylinder, forward-mounted fuel injection and a compact chassis are just some of the key features found on the WR250F. 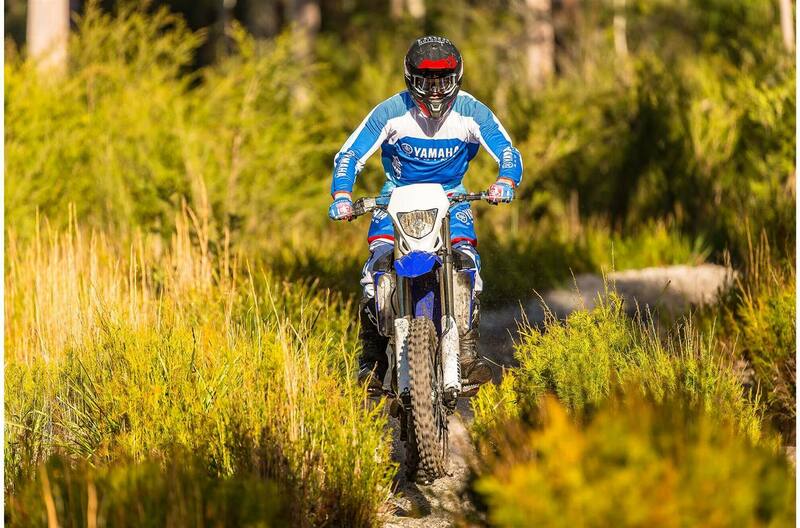 Delivering light, agile handling on tight trails, the WR is also a great choice for the experienced recreational rider. 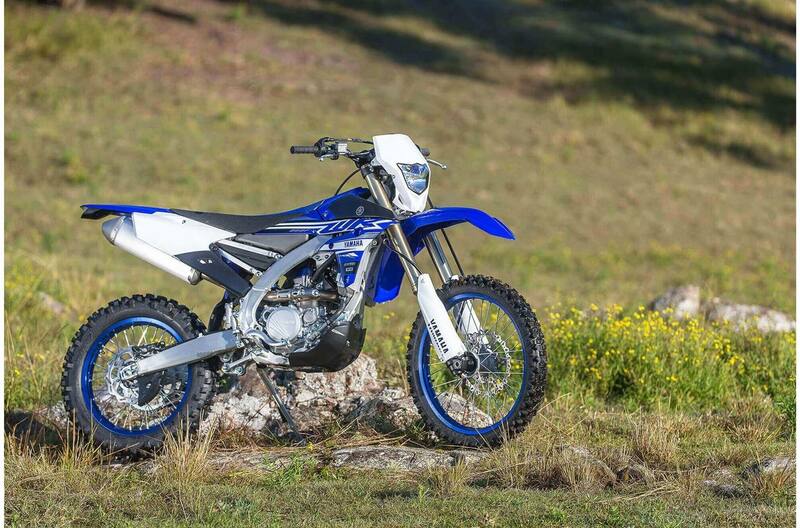 Performance: The WR250F is based on the previous-generation YZ250F and thus features items like a forward-mounted 44 mm fuel injection system and wraparound exhaust. 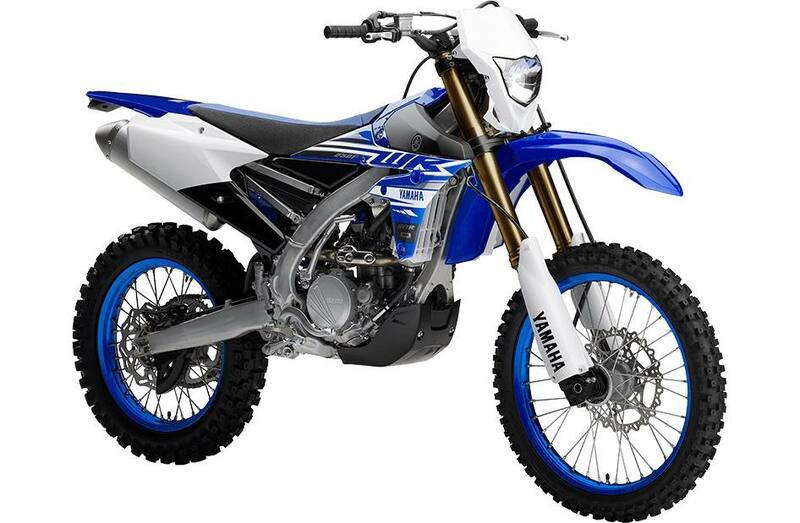 A couple of items you won't find on a YZ250F is the WR's 6-speed transmission, electric starting and a radiator cooling fan. 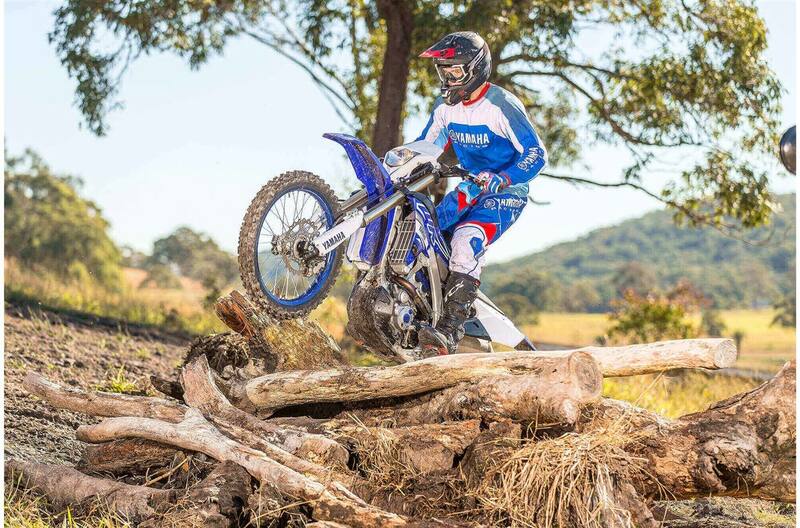 Constant improvements make the WR250F a top-performing off-roader. Frame & Suspension: The adjustable KYB suspension found on the WR series is considered by many to be the best in the business. 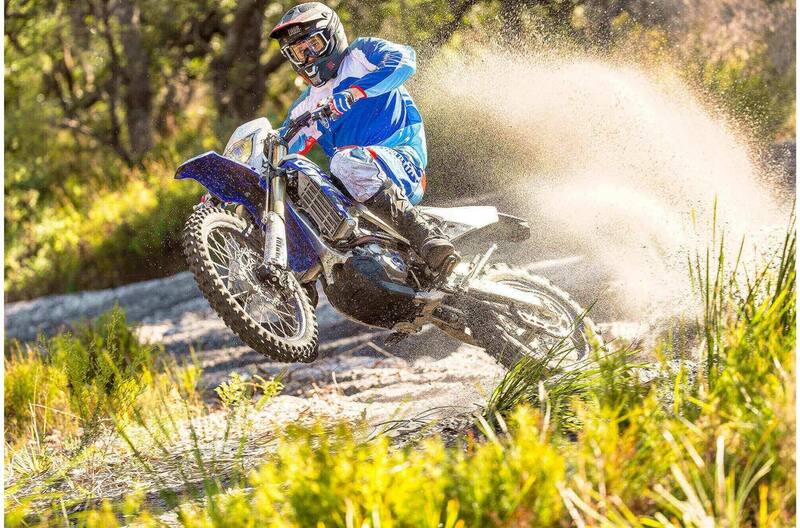 Front and rear suspension settings revised in 2018 provide better rider feedback for improved performance and handling. The chassis design centralizes mass for fast, accurate, and agile handling. 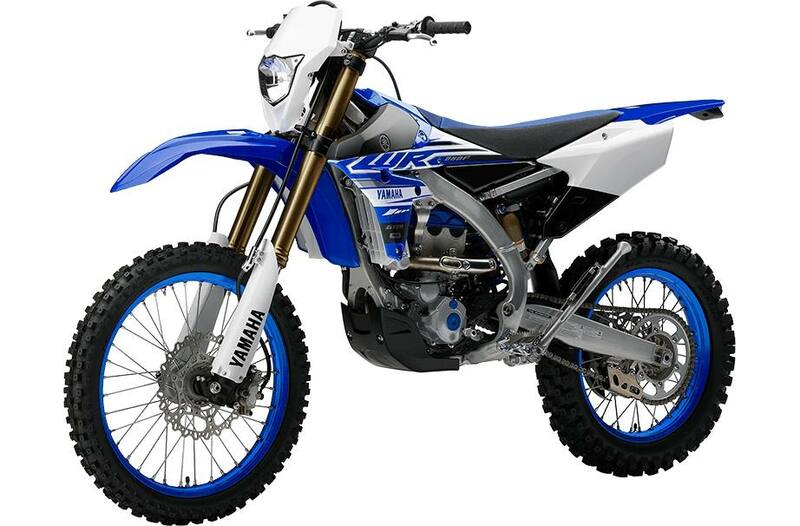 Revised, YZ250F based, 48mm adjustable, inverted, Kayaba "SSS" cartridge fork offers 310mm (12.2") of wheel travel: valving & settings are optimized for enduro racing / riding; new internal "free" piston design; revised fork seals with new scraper for improved cleaning/clearing in muddy conditions; front fork adjustments include: compression damping & rebound damping; optional fork springs are available through Genuine Yamaha parts. Fork features a twin-chamber, "Speed Sensitive System" design meaning the damper unit is in a separate structure (completely separated air & oil chambers) which prevents aerated fork oil from entering the inner damper assembly & degrading its damping abilities. Since the inner damper is pressurized, it also eliminates bubbles forming in the oil: TCV enhances damping from mid to full stroke & improves bottoming characteristics; TCV offers more precise control throughout the full suspension stroke; TCV is located on the upside of the spring & its function is controlled by piston speed, not piston position, hence the term "Speed Sensitive System fork". Large "wrap-around" plastic fork protectors: provide excellent lower fork tube protection; "self-supporting" design reduces friction for smoother fork operation. 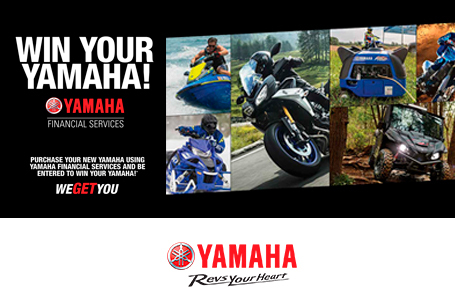 YZ250F based, Monocross link rear suspension features a fully adjustable Kayaba piggyback shock with 318 mm (12.5") of wheel travel. Settings have been revised: revised spring preload, rebound and low speed compression settings; features separate adjusters for high- and low-speed compression damping; shock is in-line with the center axis of the frame for excellent control; shock setting have been revised and are specific to enduro riding or racing; shock adjustments include: threaded spring preload, low-speed compression damping, high speed compression damping and rebound damping.